TORIES IN SCOTLAND are refusing to implement means-testing for pensioners in receipt of winter fuel payments. The Conservative Party election manifesto has stated that the £300 (about €350) annual payment would be means-tested rather than universal for all OAPs. 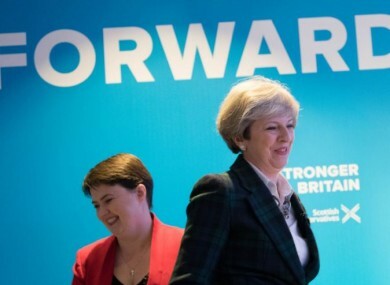 However, the party’s leader in Scotland, Ruth Davidson, said pensioners in Scotland would not be affected. She told Sky News: “The reason that we’ve said that is … Scotland has a colder climate. We also have a different amount of housing stock. Earlier David Mundell, the only Tory MP elected in Scotland in the 2015 general election, told local newspaper The Herald: “The specific view in relation to Scotland is that obviously we have different climatic issues and we have a different geography and there are far more people off-grid, who receive their fuel from not the gas or electricity grid but in terms of liquid gas, for example. Email “Scottish Tories say country is 'too cold' to means-test winter fuel payments ”. Feedback on “Scottish Tories say country is 'too cold' to means-test winter fuel payments ”.